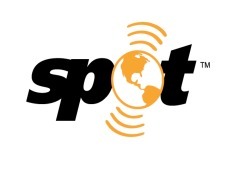 SPOT delivers affordable, location-based messaging and life-saving emergency notification technology to tens of thousands of EMEA users, completely independent of mobile phone coverage. SPOT products make it easy to track adventurers in the wild and provide anti-theft protection for valuable assets such as boats, cars and bikes. Thanks to its affordability and reliability, it is no longer just sailors, hikers, and other outdoor enthusiasts who have come to depend on SPOT’s life-saving capabilities. Globalstar has seen increasing interest from the B2B sector as businesses and NGOs fulfill their duty of care obligations to lone workers. Many emergency services organisations have come to rely on SPOT technology as well as recent new customers including the UK Forestry Commission, Northumbrian Water Group, Spanish Firefighters and the Lebanese Red Cross. When your work takes you beyond cell service, SPOT Gen3 lets your colleagues know you're ok or sends emergency responders your GPS location, all at the push of a button. Add this rugged, pocket-sized device to your essential work gear and stay connected wherever you roam. Globalstar & Manx Telecom have partnered to develop the world’s first Extended Mobile Network (EMN) communication service. It will be the first integrated network to switch between multiple cellular networks and a DtU (Direct-to-User) mobile satellite network. With the Globalstar 9600 and a Globalstar satellite phone, customers can use their existing Wi-Fi enabled devices to send and receive email over the newest, most modern satellite network. Whether on land or at sea, you will be able to maintain reliable connectivity when beyond cellular. Experience the industry's fastest data speeds, at an affordable price. The SPOT Trace offers advanced theft-alert tracking for anything. Instantly receive a text or email when your most valuable assets move, or follow them on Google Maps anytime on your phone or computer. Custom tracking options allow you to select the rate at which updates are sent – every 2½, 5, 10, 30 or 60 minutes.